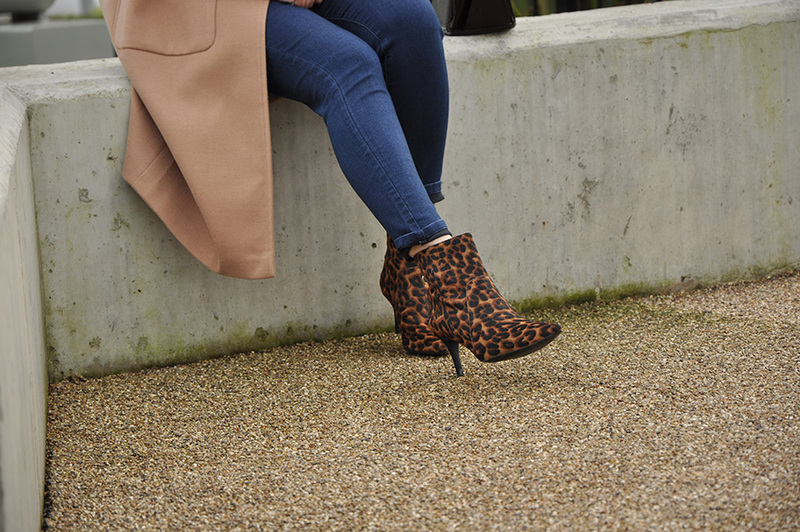 Ankle boots are one of the few genuine wardrobe staples. 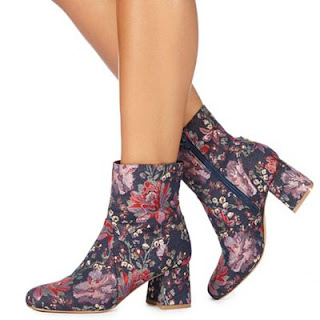 I personally wear them nearly all year round as they can be worn in the winter over jeans or in the cooler months of summer with a nice dress or skirt. 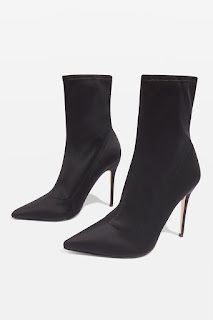 And this season, there are some super out-there boot trends that you've probably been avoiding, but you may as well give in now because these are all you'll find at your local stores. I’ve listed the top five trends that can be seen everywhere, incase you are hunting for a new ankle boots. 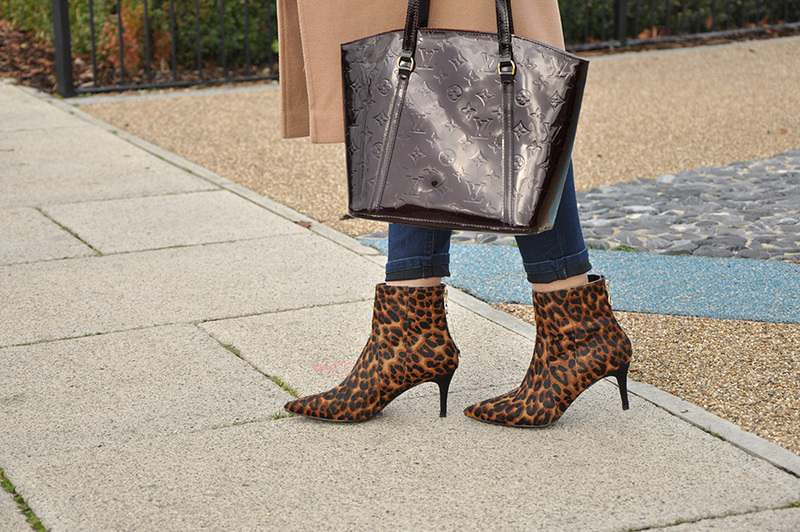 Leopard print is one of my favourite, seasonless trends!! This print never really goes out of style, and can add an instant rock and roll edge to any outfit. Try them over jeans and with a chunky jumper for a polished day combo, or paired with a velvet dress for a cool evening texture clash. My favourite trend of the season!! If you want to invest in just one trend this season, it has to be sock boots. No matter, they’re knitted, mesh, metallic or plain, anything goes, as long as it’s a sock boot. 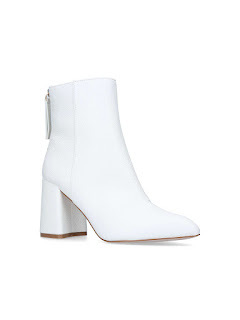 One of the white hot trends this season …white boots. You might find them weird at first but they can elevate any look if styled correctly. This season is all about bold boots. Think brocade or chinoiserie print boots, or, if you’re feeling bold, choose the neon ankle boots. RED, RED, and RED!! It’s everywhere at the moment. And to me, the more the better, as it’s my favourite colour. That means red jumper, red trousers and red ankle boots. 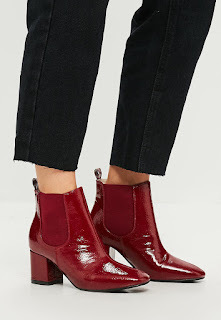 If you want to rock this trend, go for a retro mod feel with red vinyl boots. 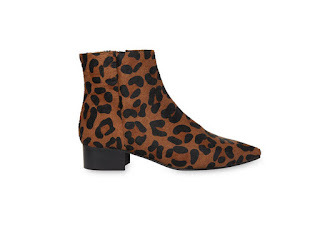 What's your favourite ankle boots trend?